An NHS doctor and former Army officer has said Tory policies are driving voters to Labour after she was picked to fight a target seat. 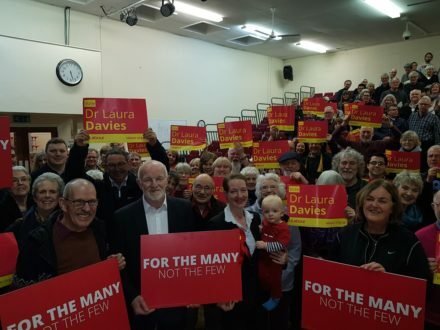 Laura Davies, a former major in the Royal Army Medical Corps, beat a prominent local supporter of Jeremy Corbyn and will now take on Tory backbencher Daniel Kawczynski in Shrewsbury and Atcham for the third time. Davies beat Nicky Clark, a local disability campaigner who had received endorsements from Diane Abbott and Jess Phillips. Davies won out, however, and now aims to oust Kawczynski after standing in 2015 and 2017. This week she told her local paper she was “in it to win it”. “The polls across the country are showing that people in the UK are shifting to Labour due to Tory policies, and I can’t see why that can’t happen in Shropshire,” told the Shropshire Star. Kawczynski, who was born in Warsaw, was appointed as David Cameron’s advisor on central and eastern Europe in 2014 although Theresa May did not keep him on in the role. Davies cut Kawczynski’s majority from more than 9,000 to 6,627 at the last election. The Shrewsbury doctor has argued that Britain should fight to stay in the single market and customs union.